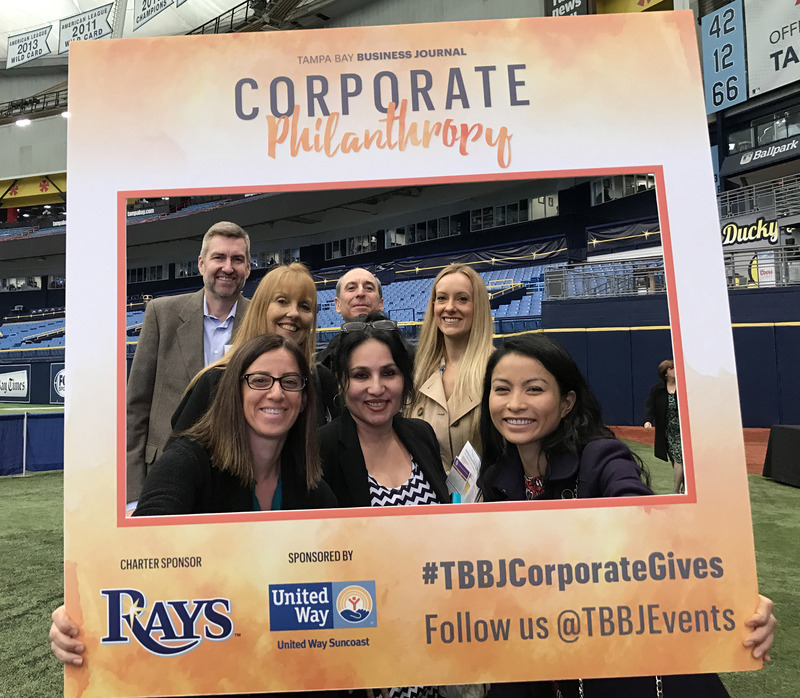 The Sembler Company has been named a finalist in the Tampa Bay Business Journal’s 2016 Corporate Philanthropy Awards. The company is one of only three finalists in its size category (51-100 employees). 1. Be authentic. Rather making philanthropy a corporate mandate, support employees in the causes about which they are genuinely passionate. Let them lead the way. 2. Be flexible. Some people love to gather a team for a fundraising walk, or join a group building a house for Habitat for Humanity. Others just want flex time to lead a Girl Scout troop. At Sembler, we offer paid time off for individuals to use as they see fit. We also have a Community Service Committee – volunteer, and open to anyone – that plans regular service activities open to all. Plus, the CEO’s door is always open, and we’ve never turned away any employee’s request for sponsorship of a non-profit. 3. Use your circle. For example, as an owner and manager of shopping centers throughout the southeast U.S. and Puerto Rico, Sembler has built-in touchpoints in the heart of many communities. So we created a program with the Pinellas Education Foundation in which shopping centers adopt a nearby school and fund programs designed by the school to meet their most critical needs. Look at your company’s resources and business relationships to see where you might find a natural philanthropic fit. 4. Integrate service in the office. To ensure philanthropy doesn’t feel extracurricular, make sure to celebrate service activities in company newsletters and social media feeds. When employees know their colleagues are getting involved, they often want to join in! Also, make it fun. At Sembler, we run an incentive program that allows departments to grow their annual bonus “pots” through philanthropic work.